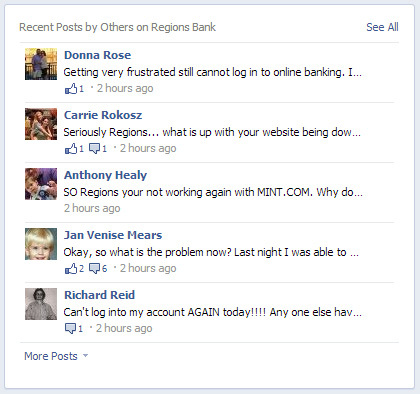 At continuing the persistent attacks to the U.S. banks today the Regions Bank has faced disruptions many times. Also, the monitoring and close observations and protests of the users in social websites all have shown that from early hours today this bank has gotten out of reach many times. Of course the previous day, Wells Fargo bank faced with problems. The cyber attacks to the U.S. banks have been continued by special different groups such as Izz ad-Din al-Qassam and this issue has been troubled both the customers and the owners of the banks heavily.